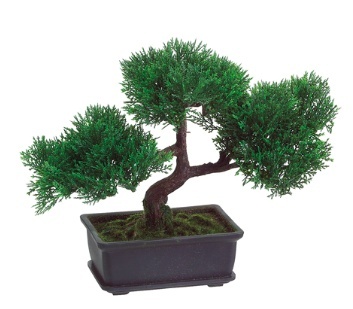 Add subtle greenery to your decor with this 9' cedar bonsai. 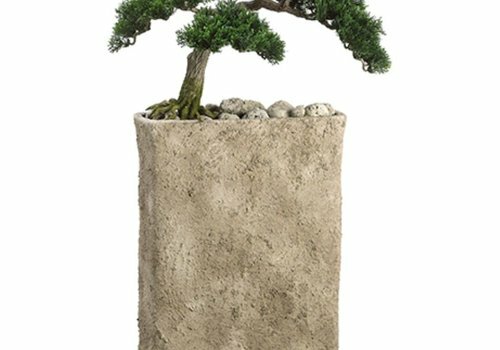 This bonsai will display beautifully in your home. 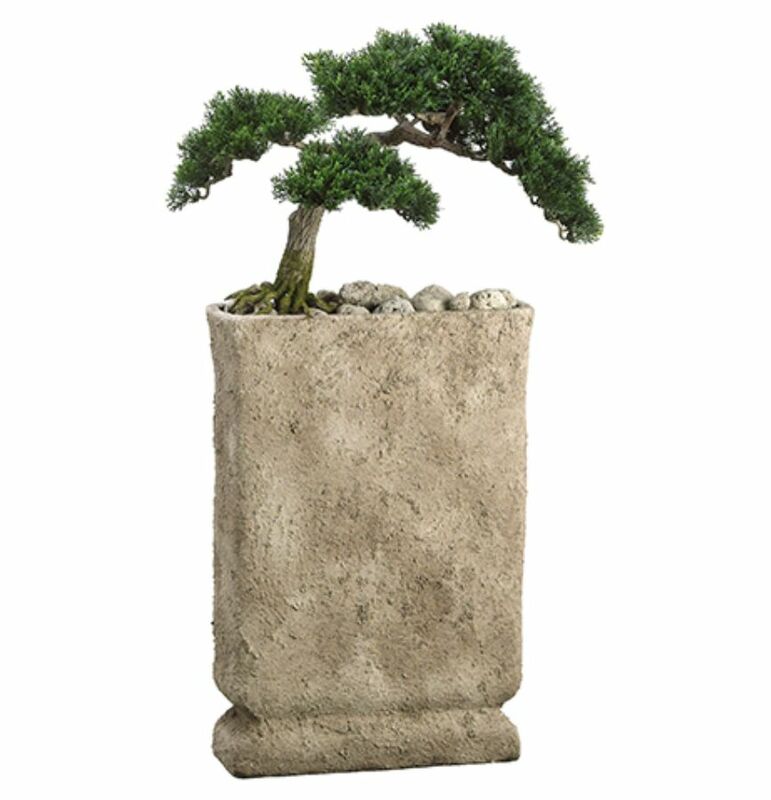 The cement pot has a wonderfully distressed finish giving it a weathered feel while retaining its modern appearance.